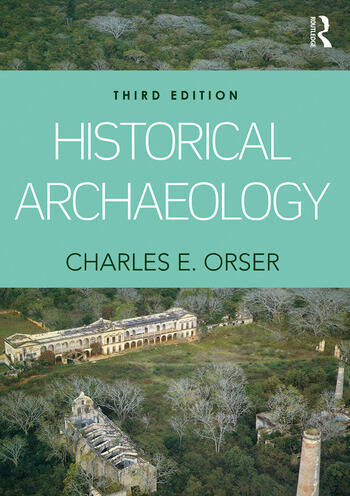 This book provides a short, readable introduction to historical archaeology, which focuses on modern history in all its fascinating regional, cultural, and ethnic diversity. Accessibly covering key methods and concepts, including fundamental theories and principles, the history of the field, and basic definitions, Historical Archaeology also includes a practical look at career prospects for interested readers. Orser discusses central topics of archaeological research such as time and space, survey and excavation methods, and analytical techniques, encouraging readers to consider the possible meanings of artifacts. Drawing on the author’s extensive experience as an historical archaeologist, the book’s perspective ranges from the local to the global in order to demonstrate the real importance of this subject to our understanding of the world in which we live today. The third edition of this popular textbook has been significantly revised and expanded to reflect recent developments and discoveries in this exciting area of study. Each chapter includes updated case studies which demonstrate the research conducted by professional historical archaeologists. With its engaging approach to the subject, Historical Archaeology continues to be an ideal resource for readers who wish to be introduced to this rapidly expanding global field. Chapter 1 What Is Historical Archaeology? Charles E. Orser, Jr., Research Professor at Vanderbilt University, is an anthropological historical archaeologist who investigates the modern world as it was created after about 1492. He is the author of over 90 professional articles and a number of books, has conducted excavations in the United States, Europe, and South America. . His research interests include post-Columbian historical archaeology; practice, network, and socio-spatial theory; enslavement; globalization and consumerism; social inequality, discrimination, and poverty. His regional interest is the Atlantic world, and his current project focuses on the early seventeenth-century Puritan colony on the island of Providencia, Colombia.